Nearly 300 years ago, when the British Royal Navy was in its infancy, four Captains mutinied and left their Admiral to be destroyed by the enemy. BRAVE BENBOW is the story of this mutiny and the mystery that surrounds it. 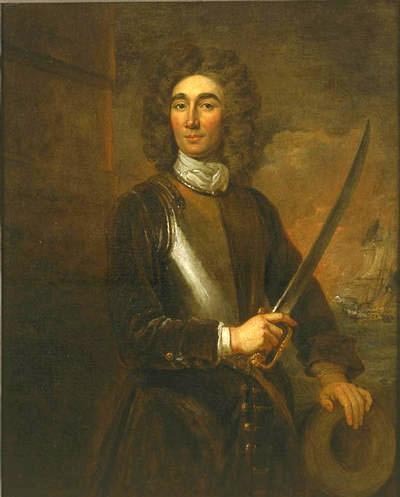 In this biography the author, William A. Benbow, traces the life of the Vice-Admiral from his origins as a waterman along the Severn River in Shropshire to the ignominious mutiny. His career in the Navy begins in 1678 fighting pirates in the Mediterranean. Before long he is driven out by his temper and harsh tongue, court martialled for insulting a fellow officer. He returns to the sea in command of his own merchantman and establishes his bloodthirsty reputation by delivering the heads of several pirates to the authorities in Cadiz. In 1688 the Glorious Revolution finds him back in the Navy under William of Orange, fighting the French. He fearlessly takes floating bombs into enemy harbours and explodes them in an effort to destroy St. Malo and Dunkirk. As a Rear Admiral he is given the task of pursuing the French privateer Du Bart into the North Sea. During the brief peace with France William sends him to the Caribbean to rid the West Indies of pirates. He chases the notorious Captain Kidd up the American coast till he is caught in Boston. War with France resumes in 1701 and William sends Benbow back to the West Indies to intercept the Spanish galleons. Eventually he collides with his second in command, Colonel Richard Kirkby who leads three other captains in rebellion. The ensuing mutiny and trial are detailed in BRAVE BENBOW. Despite overwhelming odds Benbow fought on. After his leg was destroyed by chain shot he had his wooden bed brought up to the ships Quarterdeck and continued to direct the battle from this remarkable command post. This is a factual and historical account, well researched, documented and footnoted. For those interested in family history there is a chapter on Benbow genealogy, wills, and coats of arms. In particular, the Admiral’s ancestry is analysed, ie. the Cotton Hill/Newport Benbow controversy. There is also a chapter on his progeny and possible descendents.